In the early 2000s a friend of mine, Vanessa Waites was rooting through some curbside boxes in midtown Memphis, TN. 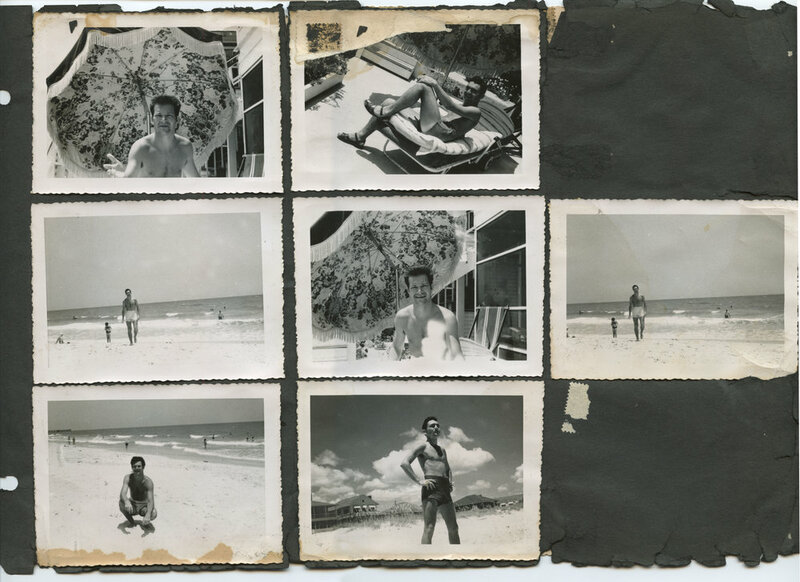 In one of the boxes she discovered this incredible 1950s era photo album which appears to be a group of gay men at various summer vacay spots. She then gave the album to me because I'm a queer filmmaker and connected to the LGBT community in Memphis. 10-15 years go by and I've forgotten about the album until last month. While moving I rediscovered the amazing album and figured it was time to dive deep into the mystery. There are very few identifiers in the photos, a couple of business names, a Tennessee license plate, and obviously the men. We know nothing about who they are, or what their stories are, but they are fabulous beauties full of life and joy in these photos. I hope we can solve the mystery, and learn more about them.